The video game adaptation from Resident Evil producer Samuel Hadida comes home just before Valentine’s Day. 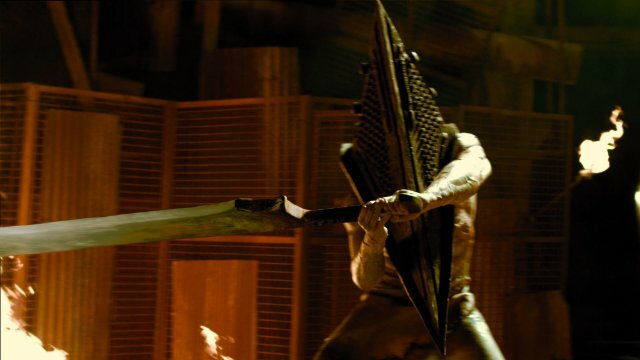 The second Hollywood adaptation of Konami’s long-running survival horror franchise, Silent Hill, is coming home just in time for one bloody Valentine’s Day. The Open Road Films action horror movie Silent Hill: Revelation 3D starring Sean Bean (The Lord of the Rings Trilogy), Carrie-Anne Moss (The Matrix Trilogy), Adelaide Clemens (X-Men Origins: Wolverine) and Malcolm McDowell (Halloween, Silent Night) will be available on 3D Blu-ray Combo Pack, Blu-ray Combo Pack, DVD, On Demand and Digital Download on February 12, 2013 from Universal Studios Home Entertainment. Gamers can eturn to a place of insanity and blood-curdling chills in this sequel to one of the most surreal and gruesome horror films ever created. Heather Mason (Adelaide Clemens) and her father (Sean Bean) have always tried to stay one step ahead of the malevolent forces intent on their destruction. But on the eve of her 18th birthday, a dangerous revelation leads her deeper into a demonic world that threatens to trap her in a nightmarish landscape forever. Based on the hugely popular video game series and written and directed by Michael J. Bassett (Deathwatch), it's a psychological trip into absolute terror unlike anything you've ever known.